Rice originated in South East Asia. Agricultural population densities on Asians rice producing lands are among the highest in the world and continue to increase at a remarkable rate. Rapid population growth puts increasing pressure on the already strained food-producing resources. Rice is therefore on the frontline in the fight against world hunger and poverty. It is the primary staple for more than half the world population. Asia represents the largest producing and consuming region. In India consumer mostly prefer medium slender /short slender grain varieties. 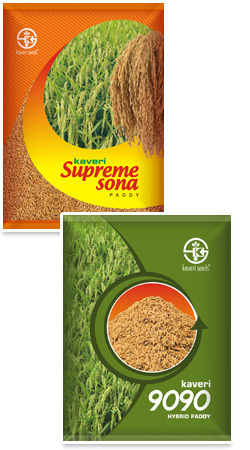 North India, hybrid rice is popular, while South India very negligible area. To make a Dent in hybrid rice cultivation in India, short to medium duration and resistant to major pests and diseases hybrid varieties with a fine grain type are needed. It should give 15-20% higher yield then only hybrid rice cultivation becomes remunerative. We have to develop and demonstrate, hybrid rice gives more yield and high buffering capacity. In most parts consumer preference is taste and quality rice. Rice is also a symbol of both cultural identity and global unity. The number of festivals, rituals, celebrations and recipes that are centered on this crop is noteworthy. For all of these reasons, "Rice is Life."